Come for a weekend or a week, one of our cottages will suit your needs. 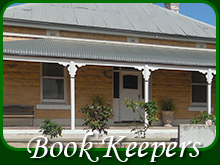 Book Keepers Cottage is a lovely old Symmetrical Cottage: modern country. Sandalmere, charming rural and rustic stone cottage, a great cottage to " get away from it all". Quiet and peacefull. 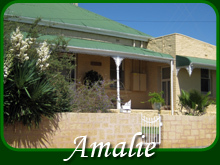 Amalie Cottage: A mixture of old country charm and modern. Suits all your needs. 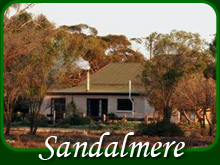 National award winning local wines, gourmet foods and fine dining throughout the Riverland. Shopping, swimming, boating, water sports, fishing, gliding, national parks and wildlife. Birds Australia, and much much more all located in the Riverland South Australia. Just a leisurely drive north east of Adelaide. We look forward to having you stay.